You have never skated before? Get a complete set. When choosing a skateboard, knowing your skill level is essential. Do you want to start skating and you’re ready for your first board? 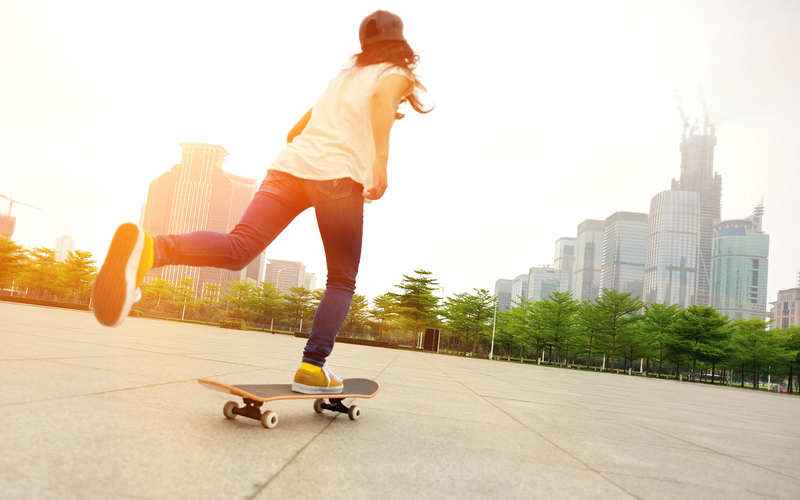 We recommend buying a skateboard set, which includes everything needed and ready for your first ride. The only thing you have to consider is the deck width. The deck is the most important component of a skateboard, it is the part with a direct contact without your foot. You should choose depending on the board’s width and profile (concave). 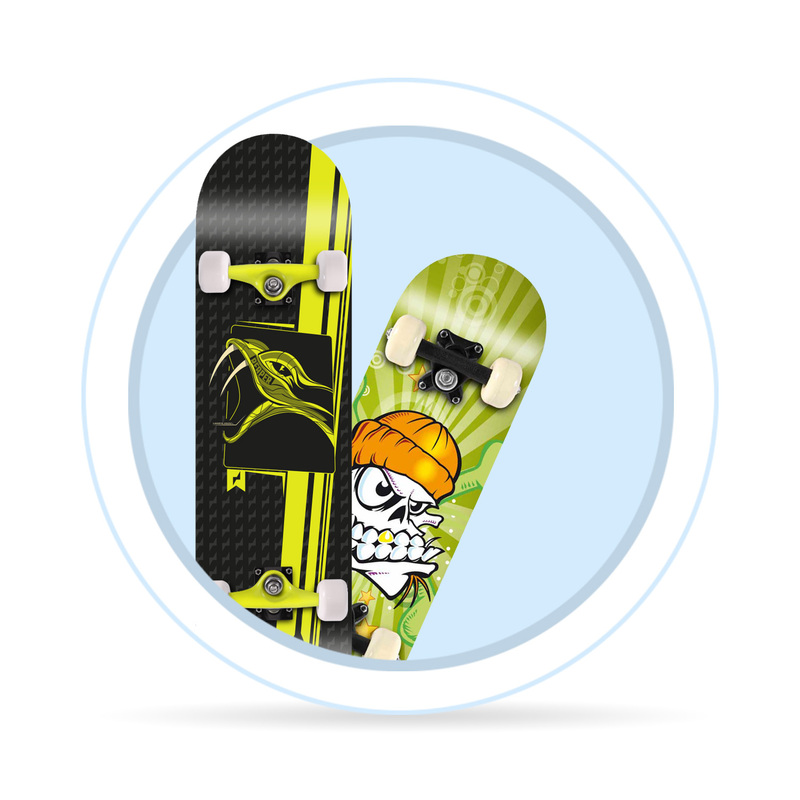 The deck’s width determines the skating style, so it is the most important parameter when choosing your first skateboard. Every deck is slightly different. Narrow decks are faster when trick riding, wider decks are more stable during riding and jumping. The right width is individual, each person prefers something else, so don’t hurry and take your time deciding which one is perfect for you. The most commonly used material in skateboards is Canadian maple wood. The deck is construed from several veneers, usually seven, which are layered on top of each other. Decks with more than seven layers are stronger, but heavier. Wheels with smaller diameter excel with their low weight and faster pop, because the tail is lower to the ground and you don’t have to kick too much. Larger wheels allow for more stable ride, are faster and better glide on uneven surfaces. When buying the right set of wheels, you should consider not only size, but also the hardness of your new wheels, which determines speed and adhesion. Most manufacturers use a Durometer A Scale, a 103-point scale which signifies how hard a wheel is. Some manufacturers use a B Scale, which measures 20 points lower than the A Scale. In comparison, 80b hardness equals 100a hardness. Generally, harder wheels are faster, softer wheels are smaller, however they offer better grip and are more suitable for street skating. Harder wheels are better suited to smooth surfaces such as those in skate parks. Some manufacturers even design special wheels for specific use.